Are you looking for an inspirational speaker for your events and workshops? At Integrity Soils we specialise in regenerative agriculture systems and their management in New Zealand, Australia and North America. Since 2000, we have been helping, teaching and inspiring gardeners, farmers, ranchers and the organisations that support and supply them. Unlike representatives of agricultural companies, our presentations are independent and backed by results and science. We can work with your event organisers to create effective, interactive conference events, which aim to maximise participation and positive outcomes. Progressive conference styles include ‘The World Cafe’ and ‘Open Space’ methods which are designed with participants in mind, to create real world positive outcomes. How Soil Affects Your Farm’s Yield Reducing the Impact of Extreme Climate What’s Your Agricultural Adaptability? 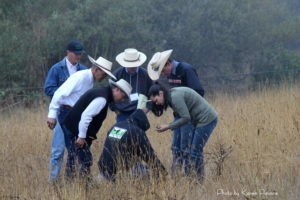 Reading your soil tests Recipes For Better Ranch/Farm Pasture quality Soil/Plant synergies. How soils influence the health of plants and animals. We have spoken for a wide range of interest groups and agricultural organisations concerned with landcare or producer profitability. See the list below that includes some of the organisations who use us as an inspirational speaker, presenter and workshop faciliator. 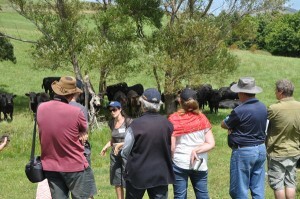 Organic Dairy Producers Group Organic Pipfruit Growers Association NZ And more…. How do you build stronger more profitable connections with clients? We are Integrity Soils, a group of specialists in biological farming systems and their management and for over 15 years, we have been helping, teaching and inspiring farmers, ranchers and the organisations that support and supply them. We have a proven history of delivering powerful workshops, conferences, key notes and events to inform, educate and inspire an audience. To find out how we can help you build stronger, more profitable connections with your clients please phone us at +64 274 523 900 or contact us via email here. Delivering powerful keynote speaking at conferences or annual general meetings on hot topics your stakeholders are hungry for information on. It can be very helpful to have an outside facilitator assist your group by leading important meetings, seminars and conference events. The neutrality of an outside facilitator can help all participants feel safe and willing to participate fully. The skill of a facilitator can keep the agenda moving forward so progress is made in a way the whole group feels good about. To help make your rural event a success! Am I getting the maximum yield from my land? How can I reduce my costs while increasing production? How can I reduce pests, weeds and disease? The best people to answer these questions are expert farming consultants. We are Integrity Soils and we specialise in biological farming systems and their management. For over 15 years, we have worked directly with farmers and ranchers in New Zealand, Australia and North America to reduce costs, improve the efficiency of fertiliser applications while improving the overall health of their production system. A follow up phone conversation to go over the report. To get immediate help for your farm or ranch, please phone us at +64 274 523 900 or contact us via email here. At Integrity Soils we specialise in biological farming systems and their management in New Zealand, Australia and North America. For over 15 years, we have been helping, teaching and inspiring farmers, ranchers and the organisations that support and supply them. 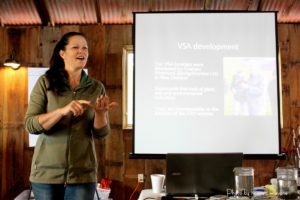 Our workshops are practical, educational, interactive, and guaranteed to deepen your understanding of regenerative farming practices. We have a variety of workshop topics available, for small and large groups. If you don’t see what you are looking for, or would like to create a workshop for your needs please get in touch. Full or half day sessions designed to empower and educate your team around the concepts behind biological farming to help ensure your programme is a success. Awesome teaching tools to help make complex scientific information fun and accessible for all. Resources include microbe puzzles, infographics, puzzles, images and more. Get in touch to discuss your needs.